Lawmakers are proceeding with a plan to keep the federal government open through the holidays. After Senate Majority Leader Mitch McConnell, R-Ky., introduced the measure, Senate Minority Leader Chuck Schumer, D-N.Y., said Senate Democrats would support it. House Democratic leader Nancy Pelosi also issued a statement of support. Still, it's unclear whether President Trump will sign the bill. White House counselor Kellyanne Conway wouldn't commit to NPR's Tamara Keith that Trump would sign the bill. "The president is looking at the CR and I will allow him to make the announcements on whether he's signing it or when he signs it, but don't ever bet against Donald Trump and don't ever think that he is backing down or becoming wishy-washy on a central promise to have border security and to build that wall," Conway said. Conway also complained that the GOP-led Congress was taking "the path of least resistance." "Why are you just going for the short-term funding for the CR and not tackling the bigger issues, the immigration reform, border security?" she asked. If it becomes law, the spending measure will postpone the day of reckoning over the final bits of the federal budget until the new Congress is sworn in and Democrats take control of the House. In a tweet, McConnell said the funding measure, known as a continuing resolution, would last through Feb. 8, 2019. Last week, Trump said he would be "proud" to shut down the government if he did not get an additional $5 billion for a border wall. But Democrats in the House and Senate balked at that, and with Democrats taking the House majority as of January, it appears Trump's plans for a wall are, if not dead, on life support. Rep. Mark Meadows, R-N.C., the chairman of the conservative House Freedom Caucus, argued that Republicans were giving Democrats a "gift" by delaying rather than fighting to fund the border wall now while they still control all of Congress. 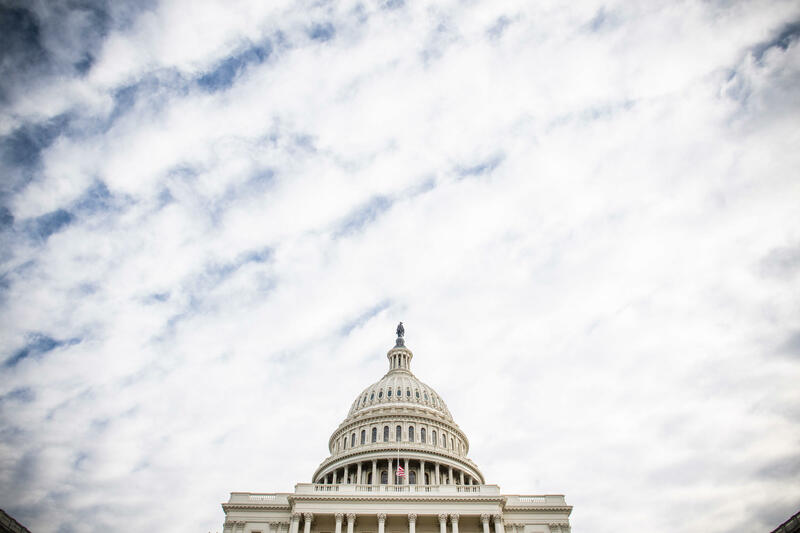 The continuing resolution means spending for the nine government agencies that have yet to receive their budgets would remain at current levels. While congressional leaders decried the inability to reach agreement on a longer-term spending measure, as Christmas approaches lawmakers are eager to wrap up their work and go home. White House correspondent Tamara Keith contributed to this report.